Call it a Blood Moon or Wolf Moon Or Super Moon, the point is, this January 20th, when the Moon is in perigee (closest approach to the Earth), we will also experience a total lunar eclipse. Weird things happen then…. On Jan 20th, 2019, the United States and Canada, with the eastern seaboard having the best view, will see the eclipse of the moon completely immersed in Earth’s shadow. The duration of totality will be longer than normal (1 hour and 2 minutes). The more south you can get the higher in the sky the eclipse will be (NYC about 70 degree, South Florida 80 degrees, Cuba 90 degrees from the horizon). The reason this is called a Blood moon is that just prior to the totality, the umbra of Earths shadow casts a penny bronze ochre hue on the surface of the moon. 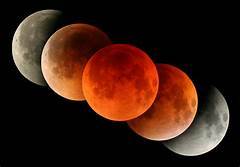 The term Blood Moon is simply marketing hype….. Regardless, I saw the eclipse three years ago and it was awesome, but that eclipse occurred just before sunrise…. this one is occurring at midnight (east coast) and will be awesomer-er-er. Don’t miss this event….. Look up folks! See the chart below for the time. 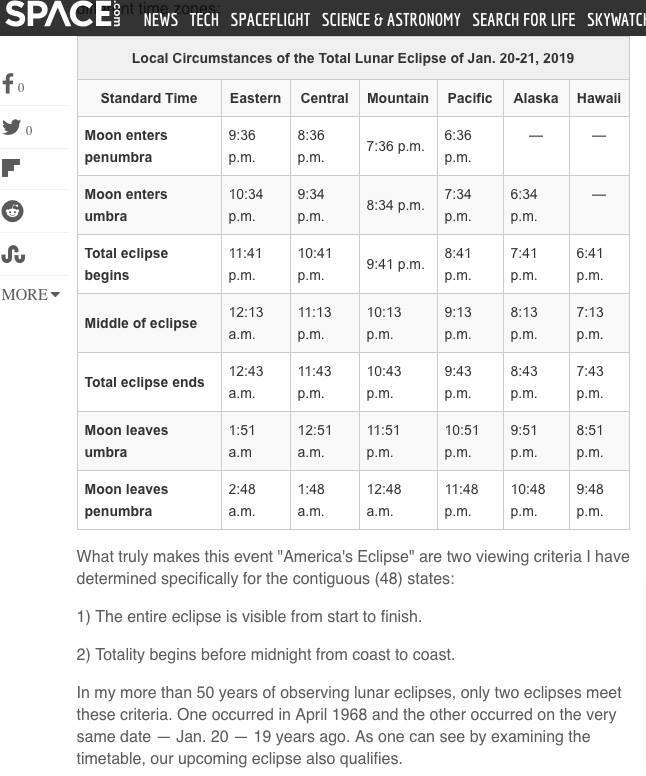 Easterners, you all need to stay up past midnight, a small sacrifice for front row seats….